"Is VR gaming a mainstream concept now?" I asked myself, cringing as the sub-par candidates from the latest series of BBC's The Apprentice flailed around with their Vive headsets talking about imaginary space badgers. 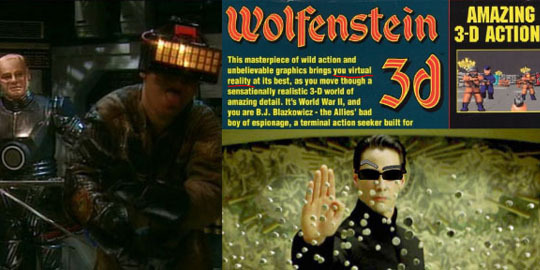 It certainly doesn’t seem very long ago that the words ‘virtual reality’ were either an overused sci-fi trope or a stock phrase used to refer to video games themselves, usually by the press in another mis-informed rant about violence in the media. But VR games certainly have made a splash this year, with the ‘big three’ headsets all launching with a plethora of developer support and prices so alarming it makes you wonder what all the fuss is about. It’s certainly something new to come out of the games industry for once. I’m generalising - there are plenty of new things coming out of the games industry all the time, but to the general public it’s all a bunch of pixels, buttons and nonsense. But with VR, we now have people literally strapping goggles onto their faces in order to play games. It’s not hard to imagine the curiosity around this ‘hip new thing.’ It’s quite clear Lord Sugar and the Apprentice producers are all into ‘hip new things’, even if they couldn’t give a toss about VR or video games in general. 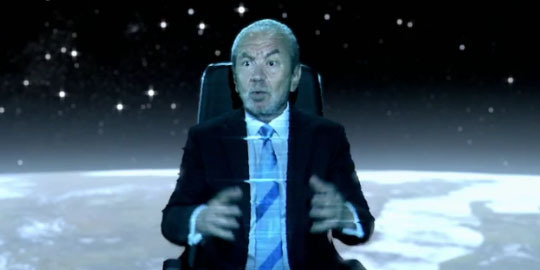 Lord Sugar totally gets VR. This is an actual still from the latest episode of The Apprentice. Oh, I could certainly harp on about how misguided the entire episode of The Apprentice was - how games don’t get conceptualised, built and then demoed to industry professionals in a day (props to the devs for turning them around so quickly), how the player’s interactions should be the priority of VR development, not the look of the imaginary badger… Anyway, my point is - what was once a fleeting, ‘look what John Carmack’s got cooking up in his basement’ affair for the nichest of the niche tech enthusiasts, seems to have branched out into something the general public is very much aware of, much like the motion controller fad of a few years ago. Except this time nobody can afford it. 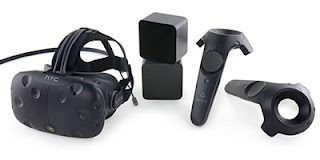 I can’t give much of an informed opinion on VR because I haven’t bought any of this tech. A lot of people have, clearly, but as mainstream as the concept of VR may have become, it certainly hasn’t been adopted by the mainstream. Part of this may well be due to the lack of truly essential software - we all know that software sells hardware. Part of this may also just be down to an overall level of skepticism on the gamer’s side. ‘Why do I need this?’ they’ll ask. ‘It’s early tech, I’ll wait for them to iron out the kinks.’ Or perhaps more damningly, ‘I don’t want to play games with half a hockey mask strapped to my head.’ And fair enough. VR is a fundamentally different way of playing games and it’s never going to appeal to everyone. And it’s expensive. Did I mention that it’s expensive? We’re living in turbulent times. 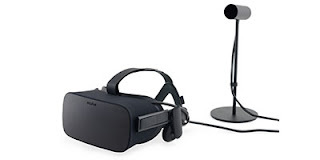 Who is really going to want to spend the best part of a grand on first generation peripheral hardware, with wires trailing all over the place? Seriously, it's gotten so ludicrous people are trying to find ways to tie the cables to the ceiling. HTC Vive: Price before Brexit: £689 Price after Brexit: £759 (Ouch!) By definition, absolutely the most impressive VR experience around. It is room-scale after all, which means a fair amount of standing, ducking and dodging. I was actually most impressed by the motion controllers, which are extremely precise and do create an almost perfect illusion that you are holding real objects. The funny thing I observed is that because the controllers are so light, I felt like the guns and weapons I’d pick up were cheap Fisher-Price toys, not real killing machines. I do wonder if that’s going to require a real suspension of disbelief in some games, as you impale evil warlords with a spear that your brain thinks is made of foam. I played two games - a robot shooter called Space Pirate Trainer and a zombie shooter that could have been any of the thousands of zombie games on Steam. These were simple wave based survival experiences with limited depth. I appreciated how fresh it felt playing in such a different way - and particularly liked mechanics like the shield in Space Pirate Trainer which you can actually hide behind then lean out to shoot. Oculus Rift: Price: £549 In terms of visual fidelity and sense of space, I’d say this is almost on par with the considerably more expensive Vive. I was disappointed in the headset itself though. Things weren’t off to a good start when I was told to take off my glasses and place them carefully inside the headset before putting it over my head. I didn’t have to do this with the other two. Then once I’d put the headset on, I was advised to spend a minute or two playing with straps (that I couldn’t even find) and get it all perfectly adjusted. Then after all that - I don’t know if this was my own incompetence or not - I could still see a gap at the bottom of the headset. All in all, pretty cumbersome. The game itself? Red Bull Air Race. And blimey. I’d read about reports of VR sickness before, but to experience it for the first time was… interesting. Yes, armed with just a regular Xbox pad I was doing all manner of loop the loops and flips and… yeah, it was kind of nausea inducing, and I dunno about you but I don’t play video games for induced nausea. Still - if you can handle it - and some people clearly can - I don’t doubt that it’s impressive fun. PlayStation VR: Price: £349 (plus £100 or so for camera / PS Move) First impressions were that the resolution is pretty awful. To be fair, this is a problem on any VR set and it’s not that much more pronounced here. 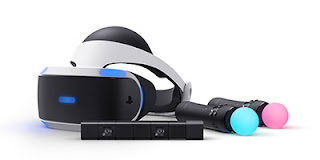 Actually, the reason why this was my first impression is because the actual act of putting on the headset and adjusting it is amazingly quick for PS VR. Both Vive and Rift take a large amount of faffing just to get the damn thing on, but PS VR fits amazingly well, even for glasses wearers like myself. Now, PS VR obviously works with the PS4 and most games play with just the standard DualShock 4. There are motion controls with the old PlayStation Move but apparently that’s a bit naff. I couldn’t tell you how well either of those work because my only demo was of ‘The Deep,’ an on-rails ride in the ocean you can’t even interact with. Still, I can’t praise enough how convenient and comfortable this headset is - it’s also by far the cheapest and most user friendly, so it’ll be my pick if I ever go impulse-buy crazy. So, what are my takeways from all this VR dabbling? Well, most of all, I’m just really interested to see where VR goes from here. I love that it’s such a new, massively flawed thing that’s forcing developers to rethink how games should work. To me, that in itself is a good thing. Some may disagree, claiming that VR games are and will continue to be messy and mechanically basic. I like big, complex experiences as much as anyone, but I’m still enthusiastic about something genuinely new. Hallway duelling in bullet-time: So Vive has you standing around and… not really walking anywhere, so why not have a pistol duelling game about outwitting your opponent with weird dodge moves. With really slow moving bullets. You know, Matrix style. Grapple Man: Ok, so a lot of standing VR games resort to a teleport feature so that you can move around without your character having to walk and without your brain feeling too disconnected. So, instead of that, let’s design a character who can’t walk, but does have a great big grappling hook to pull things towards him - pieces of the environment, enemies… I love the idea of pulling someone in with one hand and thwacking him with a great big (Fisher Price) fist in the other. Ant-Man the game: Well Batman got a game already, I was thinking about what other superheroes should follow suit and I settled on… Ant-Man? Really? Well think about it. The sense of scale going from regular to ant size. Thinking ‘gee whizz those are some nicely rendered floorboards.’ Riding ants during an on-rail shooter round someone’s garden. Who needs X-Wings? I’m not even kidding. Trolley Simulator 2017: So it has been established that VR games with vehicles work pretty well thanks to the constant frame of reference - so... I’m bending the rules a tad but let’s go with trolleys. Imagine you’re pushing a trolley around, steering it around a shop, having to balance items in front of you. I just think it would be a lot of fun in VR. I promise this is unrelated to the game my friend’s working on. There, you see Apprentice candidates, it isn’t so hard! Ok, ok, I’m joking. These clearly aren’t the best ideas ever. VR is a tricky thing to get right. It’s not easy for anyone.